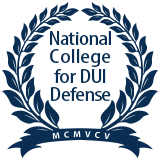 Lubbock TX Multiple DWI Attorney | Nicky Boatwright, P.C. In the state of Texas, Driving While Intoxicated (DWI) is an enhanceable offense. This means that the consequences of a subsequent DWI conviction are potentially more serious than the consequences of a prior conviction. The legal standard for what behavior constitutes a DWI does not change. A driver in the state of Texas is guilty of DWI when the driver operates a motor vehicle while under the influences of either drugs, alcohol or has a blood alcohol concentration (BAC) of .08 or greater. Additionally, drivers under the age of 21 may not operate a motor vehicle with any detectable level of alcohol. Commercial drivers also have special rules. They are considered guilty of a DWI under the law if operating a motor vehicle while having a blood alcohol concentration of .04 or greater. Nicky Boatwright has dedicated her law practice to DWI and criminal defense in Lubbock, Texas. She can help you understand your legal rights and viable options for fighting your DWI charge(s). Contact Nicky Boatwright, P.C. today to learn more about your charges and what to expect. While the conduct which is illegal doesn't change, the consequences for the conduct vary depending on whether the offense is a driver's first offense, second offense, or greater. A first-time DWI with a BAC less than .15 is a Class B Misdemeanor. License suspension is 90 to 365 days. The fine is up to $2,000. Jail time is between 72 hours and 180 days. A first-time DWI with a BAC .15 or greater is a Class A Misdemeanor. License suspension is 90 to 365 days. The fine is up to $4,000. Jail time is up to one year. A second-time DWI is a Class A Misdemeanor. License suspension is 180 days to two years. If convicted of the offense, there is an additional driver's license suspension. The fine is up to $4,000. Jail time is between 30 and 365 days. A third-time DWI is a 3rd Degree Felony. The license suspension is up to 2 years If convicted of the offense, there is an additional driver's license suspension. The fine is up to $10,000. It also carries a penalty of 2 to 10 years in the Texas Department of Criminal Justice (TDCJ, also known as prison.) If probation is granted, a minimum of 10 days jail, referred to a shock time, will be required. A third or more DWI with one prior TDCJ prison sentence is a Second Degree Felony. License suspension is up to 2 years, with an additional suspension if convicted of the offense. The fine is up to $10,000. It also carries a penalty of 2 to 20 years in the TDCJ. A third or more DWI with two prior TDCJ prison sentences is an enhanced felony. License suspension is up to 2 years, with an additional suspension if convicted of the offense. The fine is up to $10,000. It carries a penalty of 25 years to life in the TDCJ. In addition to the consequences described above, a subsequent DWI may also be a violation of probation if you are currently on probation. If it is a violation, the court may execute some or all of the previous sentences that were stayed on the basis of remaining a law-abiding citizen or fulfilling other conditions of probation. This consequence may be over and above the consequence for the new DWI. Typically, after an arrest for a second or more DWI, as a condition of release from jail, courts require the defendant to install an ignition interlock device in his or her motor vehicle. An ignition interlock device measures the driver's blood alcohol based on a breath test. When the device detects alcohol on the breath of the driver, it prevents the vehicle from starting, thus ensuring the car is being driven by a sober driver. Further, if a camera unit is ordered, the device takes pictures of who is giving the breath test and who is subsequently driving. Tests are required to start the vehicle as well as rolling re-tests while driving the vehicle. This person-specific ID establishes a record of tests given by the driver which may be sent to the monitoring authority. Each subsequent DWI conviction carries a more serious penalty than the previous conviction. The period of license suspension, the fine, and possible jail time, including prison time, increases. It is possible to receive a penalty of life in prison following multiple DWI convictions. The state also requires the installation of an ignition interlock device after a second arrest or more for DWI without waiting for a conviction to be entered. If you are facing a DWI charge, particularly if it is not your first DWI charge, you need an attorney on your side advocating for your rights. Nicky Boatwright has extensive experience practicing law defending DWI cases. Contact Nicky Boatwright at 806–747–8002 or contact her online to discuss your case.